Redmi 4A is a perfect device for a first time smartphone buyer. Considering its price tag, It has excellent specs in all departments. It has a 5 inch HD display, Snapdragon 425 processor and 2GB Ram. The Internal storage of 16GB can be a problem, But there is hybrid card slot as well. It runs on a 3000 mAh battery, which can last for a day up on moderate use. By unlocking it, You can further tweak your device by installing custom ROMs and kernels. Here, follow our guide to unlock the bootloader, Install TWRP and Root your Redmi 4A. Stage 1. Unlocking Bootloader of Redmi 4A through ADB fastboot. Unlocking Bootloader allows flashing third party softwares & change system files from fastboot only. Stage 2. Installing TWRP 3.0.2 Custom Recovery in Redmi 4A. By installing TWRP recovery, you can flash custom zip files like Custom ROMs, SuperSU, MODS & tweaks. Stage 3. Flashing SuperSU file to gain Root in Redmi 4A. SuperSU hooks into your system files & acts as an intermediate between apps that require root access & system files. Su zip, for enabling root. Backup your data on the device. Unlocking will erase the data present on the phone. Enable ‘USB Debugging’ and ‘OEM unlock’ toggles in the Developer Options. Go to Xiaomi Bootloader Unlock Site and Register with the same account, you are using in your redmi device. Apply for permissions to unlock the bootloader of your device, and it will take a couple of hours to grant the permission. 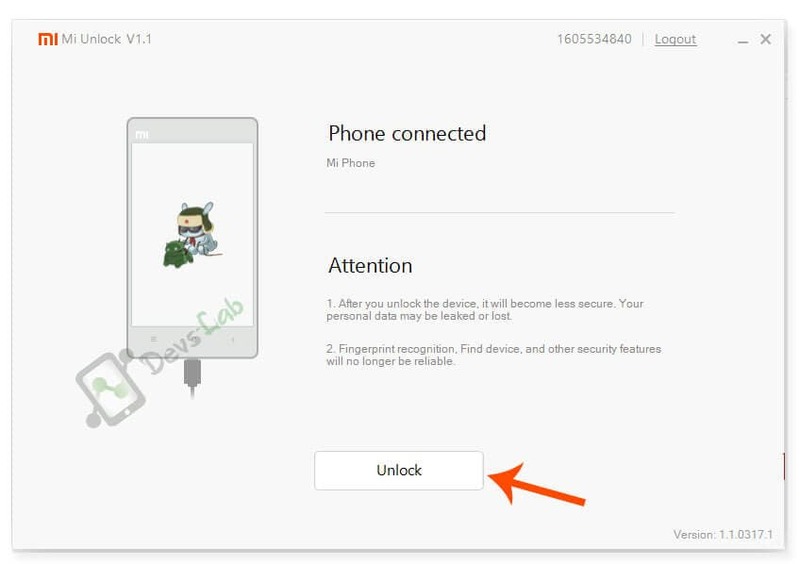 Download and Install the Xiaomi Unlock Tool on your PC. Power off your device and Press volume down + power buttons together to boot your phone into Fastboot mode. Sign in to the same Mi account you have used earlier. Proceed with on-screen instructions and Click on Unlock to confirm. After the Completion of the process, Click on the Reboot option. Also Read: How to Install TWRP and root your Redmi Note 4. Reboot your device into fastboot mode and connect it to the PC. Download and Place the TWRP image file in the installation folder of ADB. 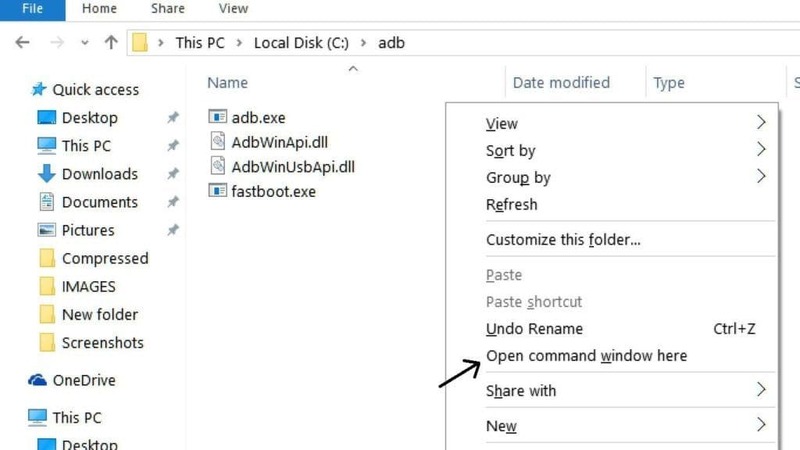 In ADB installation folder, Right click on the screen while holding the shift key and then select open command window here. Now boot into TWRP recovery using appropriate key combinations. Confirm the flashing of above zip by swiping right. Go back and reboot the system. Also Read: How to get Android O design and features on your rooted device. Tap on Install option in main menu. Navigate and select the Su zip. Swipe right to confirm the flashing. Go back to the main menu and reboot the system. 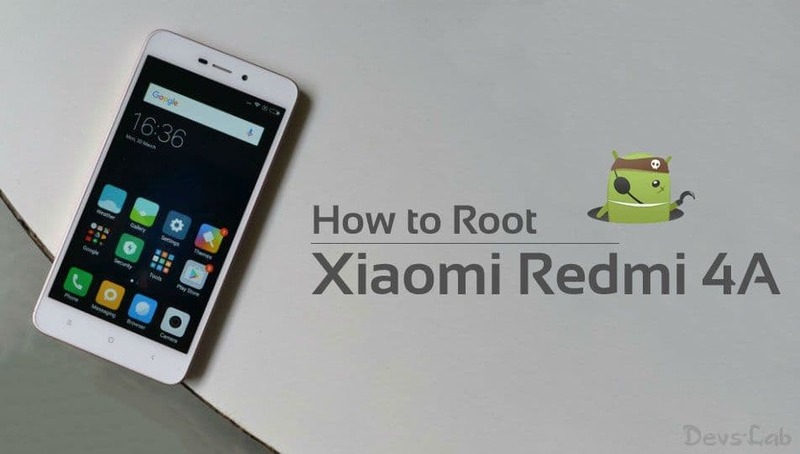 Now your Redmi 4A is successfully rooted and check that using a root checker app from the playstore. You can also check Top 10 best Apps for Rooted Android Devices – 2017 Edition. Follow us for more device-specific rooting guides. For any queries, please comment below.